SAMANTHA YPMA is with Mode Models Canada & DCM Seoul. PR: How long did the trip to Seoul last? SAMANTHA YPMA: I flew from Edmonton with a connection in San Francisco, I flew with United Airlines. The flight from San Fran to Seoul was a long one, 12 hours! PR: Do you take that travel pillow with you, like some people on planes? You must admit they are badly needed sometimes. SAMANTHA YPMA: Luckily the airline provided everyone with a pillow and a blanket which was awesome; I needed the sleep for sure. PR: Is Seoul's airport complicated? SAMANTHA YPMA: Seoul’s airport wasn’t too complicated but I sat beside a fellow Canadian on the place who helped me out and showed me where to go so it was pretty easy to figure everything out. PR: Do you ever do some duty free shopping on airports? SAMANTHA YPMA: Duty free is my favorite! PR: What's your agency in Seoul? SAMANTHA YPMA: I am represented by DCM Agency in Seoul, it is my first and only agency in Asia. PR: Have you been to other Asian markets, or do you plan on going to some later on? SAMANTHA YPMA: I have not been to any Asian markets other than Seoul. I have no plans of heading to another Asian market right now but who knows where the future will take me! 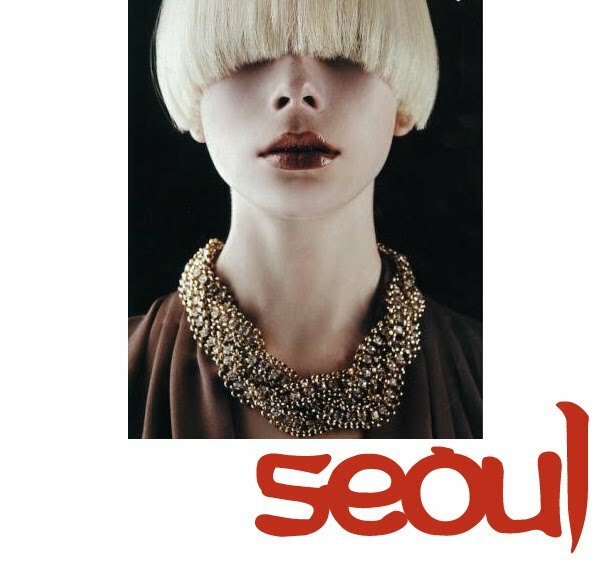 PR: What are model apartments in Seoul like? SAMANTHA YPMA: The model apartments are great! Very nice area of the city and a lot of space which is really nice. PR: How many castings per day did you have there? Is it a busy market? SAMANTHA YPMA: The market has been pretty good, I didn’t really know what to expect but the work has been good. The first day we came here we had 10 castings. PR: Before going to Seoul, did you like Asian food? SAMANTHA YPMA: I have always enjoyed Asian food but I had never eaten Korean food before coming to Seoul. PR: What was your favorite? SAMANTHA YPMA: I don`t know what it was called but I had a really good rice noodle and vegetable pasta in a spicy sauce, and the spicy soups are really good as well! PR: Seriously, what were you eating there??? SAMANTHA YPMA: I have mostly been cooking for myself but I have been to a few little Korean places. I also went to a Bulgarian restaurant called Zelen and I have to say, that was probably the best meal I have ever had! PR: So… chicken salad – made by you! What do you put in it? PR: Where did you buy your groceries in Seoul, at the market or in the supermarket? SAMANTHA YPMA: There were a few little supermarkets really close to the apartment which was great. PR: At the supermarkets, are there also some common Canadian or American products that you recognized or is everything Asian? SAMANTHA YPMA: There really hasn`t been a lot of Canadian or American foods that I recognized. That was one of the hardest part: trying to figure out what I was buying because most of the things were in Korean. PR: What is the fashion like there? SAMANTHA YPMA: The fashion is great! Everyone is always dressed so nicely, even if it is just to go to the supermarket, I really love it! I also shot a lookbook for a brand called Nohke J and I think those are some of my favorite clothes I`ve ever seen, amazing coats and just really beautiful pieces. PR: Did you spot any trends that can be also spotted in Canada? SAMANTHA YPMA: Most of the basics are the same as in Canada although people there definitely dress up a lot more than they do back at home, I really enjoyed that! I think people In Seoul are more into fashion than where I come from for sure. PR: What are your must have items for this fall/winter season? SAMANTHA YPMA: For fall I am really into military jackets, chunky boots, and camel anything! SAMANTHA YPMA: Neither haha, I`d really rather just go to the gym but if I am choosing one I`d say pilates. PR: What gym did you go to (in Seoul)? SAMANTHA YPMA: In our agency building, which is about a five minute walk from the apartment, there is one of the biggest gyms in Seoul. I`ve really never been one to enjoy working out but I do love to go for a good run so I`ve mostly been using the treadmill there. I also climbed mount Namsan and went up to the Seoul tower which was a nice workout, lots of stairs! PR: Were you warned that you have to avoid something..? SAMANTHA YPMA: There were really no places I was warned of, even walking around there late at night and even into the morning people are all around, I’ve really felt quite safe everywhere I’ve been - which is great.